What is high-precision plasma cutting, exactly? We all know the old sales joke: You can have it good, fast, or cheap, so pick two. High-precision plasma cutting used to be that way, too, only the options were cut speed, quality, and parts life. Today fabricators enjoy the best of all worlds (see Figure 1). On 0.25-in. steel, top cutting speeds reach 100 inches per minute. 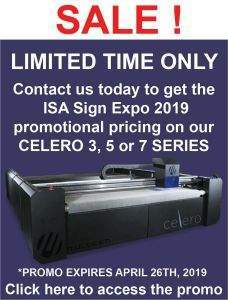 (Speeds can reach 150 IPM or more if cuts are on long, straight edges or cut quality is not critical.) A high-precision system can achieve a cut accuracy of ±0.01 to 0.05 in. and kerf widths as narrow as 0.05 in. Consumables can last from 1,300 to more than 3,700 arc starts, and systems can cut any conductive material from 10 gauge up to 2 in. thick. Capabilities continue to expand too. Hole cutting technology (see Figure 2) delivers a precision hole or radius with minimal to no taper on mild steel from 10 ga. to 1 in. Also, new plasma bevel cutting technology reduces weld preparation time and cost. A high-precision plasma system concentrates more energy in a smaller area, and increased plasma density creates a precision cut with a narrower kerf, less top-edge rounding, and less bevel (see Cut Quality sidebar). To appreciate the enormity of plasma technology developments, consider that even modern simulation methodologies cannot fully and efficiently model plasma arc behavior without considerably simplifying assumptions. Plasma cutting certainly has evolved from its birth in the laboratory to become a productive fabricating tool that plays a key role in many manufacturers’ success. Scientists at Union Carbide’s Linde Division developed the plasma arc cutting process in the 1950s when they constricted a TIG arc to increase its energy density and focus its momentum, forming a cutting arc rather than a welding arc. Dr. James Browning, a professor at Dartmouth College, founded Thermal Dynamics in 1957 and developed some of the first plasma torches and power sources. At the time plasma cutting systems used only a single inert gas as the plasma gas because the tungsten electrode eroded rapidly in the presence of oxygen. Without the ability to use oxygen to support oxidation and the associated self-sustaining exothermic reaction, the process had little advantage for cutting steel. Browning began to change this in 1963 when he introduced a secondary gas to surround the main plasma arc. This shield gas constricted and further concentrated the arc to produce a higher energy density. In dual-flow steel applications, the plasma/shield gas combinations were usually nitrogen/air or nitrogen/O2. Dual-flow cutting increased speed on mild steel, reduced top rounding, drove the arc deeper into the cut, and minimized dross on the bottom of the cut. Figure 3 provides a look at plasma/shield gas combinations used in today’s high-precision plasma cutting applications. Two additional Browning inventions in 1963 further extended electrode life: stuffing the emitter (then tungsten) into the tip of a copper cylinder and hollowing the back of the cylinder so water could transfer heat away from the electrode and extend service life. Patented in 1963, the design of the plasma electrode remains similar today, with the exception of using tungsten as the emitter. Because tungsten deteriorates in the presence of oxygen, using air or oxygen for the plasma gas was abandoned. That changed in the late 1960s when Russian scientists discovered that hafnium and zirconium resist rapid deterioration. (Now, most electrodes use hafnium as the emitter.) As a result, fabricators could use air as the plasma gas and enjoy significant cost savings; using oxygen for the plasma gas would deliver the highest quality and fastest cuts on thin sections of steel. A high-precision plasma system concentrates arc energy in a small area, in effect creating a sharper cutting tool. The Japanese invented the first high-precision systems in the 1980s, and U.S. companies began developing systems in the early 1990s. 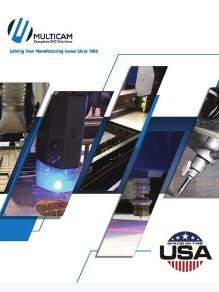 The challenges forced plasma cutting technology companies to return to the fundamentals of torch design and operation. While some of the early torches had an orifice of about 0.1875 in., nozzles now have an orifice of 0.040 to 0.045 in. and deliver up to 60,000 amps per square inch of cutting energy. (Figure 4 shows what these advancements have meant for cutting performance.) However, increased arc density would have resulted in very short consumables life without new torch designs that brought coolant flow completely down to the nozzle’s orifice, as well as enabled 1.6 gallons per minute of coolant to flow past the nozzle. Previously coolant flowed into the torch body and not all the way to the nozzle. How the plasma arc is initiated and terminated greatly affects electrode life. Most torches use a brief high-voltage impulse (10 to 20 milliseconds at 6,000-plus V) to make the air electrically conductive, which in turn enables a pilot arc to be established (which uses perhaps 150 V). The amount of voltage is carefully controlled and timed to reduce wear. During termination, electrode wear is minimized by ramping down current, voltage, and gas flow to collapse the arc at a controlled rate, which in turn cools the hafnium insert at a controlled rate. Previously the arc snapped off. When it did, the vacuum created in the spot previously occupied by plasma drew some of the molten hafnium out, causing much faster wear. Precise torch height control also greatly controls electrode wear and cut precision. Height control is a function of arc voltage, which is directly proportional to the distance between the electrode tip and the plate. Height controllers are settable in 0.1-V increments and controlled with a measuring resolution of ±0.02 V. Advanced systems use voltage sampling to adapt for consumable wear, keeping the nozzle at the correct distance from the plate throughout the entire lifetime of the electrode. For example, imagine the height control is set to 150 V, and that voltage equates to a tip-to-plate distance of 5 mm. However, as the electrode wears, the arc becomes longer. Voltage sampling moves the torch progressively closer to the plate as the electrode wears, thus maintaining consistent kerf width and cut quality. When assembling an automated plasma system, a metal fabricator shouldn’t skimp on a height controller, torch lifter, and associated drives and motors. If torch height varies, cut quality varies from part to part and even within a single part. At a minimum, a fabricator should use a controller with functions for pierce height control, pierce delay, and pierce retract. These functions extend consumable life by reducing electrode wear during arc starts and stops, as well as by minimizing the amount of molten metal that splashes up during arc start. Automatic gas consoles also extend electrode life. Both insufficient and excess plasma gas flow disturb the molten hafnium puddle instead of keeping it centered. In addition, abrupt changes in gas flow produce arc instability, which in turn could cause immediate damage to consumables (not to mention degrade cut quality). In the last 20 years, electrode life has more than doubled (see Figure 5). For cutting at 400 amps, electrodes that use a multiple-hafnium insert have extended electrode life from 400 to 900 arc starts. Because electrode life is the single biggest contributor to cost per cut, the cost of high-precision plasma has continued to come down. A fully integrated system includes the plasma power source, CNC, torch height control, torch lifter and its associated motors and drives, and an automatic gas control console. Some fabricators have the misconception that using a high-precision plasma power supply will allow them to save on other components. In an automated plasma system, integrated components work seamlessly to control cutting amperage, torch height, speed, and gas pressure. Greater productivity and reduced errors. CNCs automatically set and control parameters for “best cut quality” or “fastest cut” after the operator selects the material type, material thickness, and cutting gas combination. Operators become productive after hours of training instead of weeks. Hole/process optimization technology. After a cutting program is loaded (or even just a DXF file into a controller from a USB flash drive), the CNC examines the file and determines which parameters need to be optimized. After these are identified, the controller recalculates the optimal parameter and cut paths. Similar technologies optimize cutting order and pierce methods, as well as locations for complicated nests. Automatic nesting tools. For fabricators that don’t have a separate engineering department, automatic nesting tools are invaluable for reducing plate waste and cycle time. Bridge tools. Bridge tools typically reduce the number of pierces in a cutting program. They automatically assign cut segments between parts to reduce the number of pierces and cycle time. Plasma beveling—cutting V, Y, X, and K bevels on 0.25- to 2-in.-thick steel—is a hot topic in the industry. Currently most fabricators underutilize plasma beveling because older beveling systems require programmers to compensate for torch angle, torch height, kerf width, and cutting speed in the part program or nest. As a result, operators are prevented from making any necessary adjustments required to produce accurate parts. To make adjustments, the operator must go back to the programmer and have the program or nest updated. This can waste a significant amount of time and presents an obstacle to producing quality parts. Different plasma/shield gas combinations make plasma cutting a suitable cutting technology for various materials. New beveling technology seamlessly integrates plasma, CNC, software, height control, bevel head, and gantry functions so fabricators can take full advantage of their plasma system and maximize productivity. New technology offers a high level of automation for the programmer by incorporating best-practice bevel cut sequences into CAD/CAM programming and nesting software. It also puts all bevel compensation data into the CNC, not the programming software. Therefore, the part program or nest represents the actual desired part geometry, without bevel compensations. This eliminates the need for trial-and-error programming. Instead, operators can quickly and easily make any necessary adjustments at the machine. Integrated plasma technology providers also are working on technology that compensates for the bevel inherent in the cut surface. Even the systems capable of the most precise cuts produce some degree of bevel. These advancements will enable plasma to compete more effectively against laser cutting, which has no bevel. 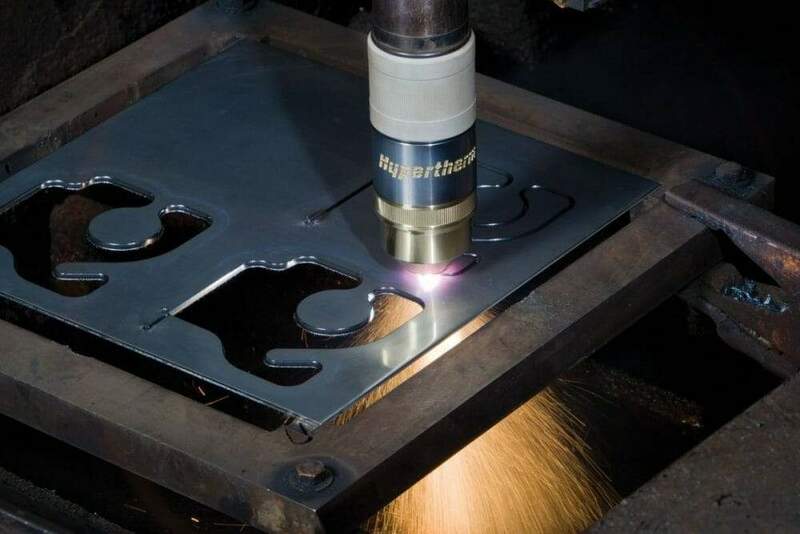 The technology is not available yet, but it’s good to know that developers of high-precision plasma cutting technology continue to strive for even greater quality and productivity. Dirk Ott is vice president, global plasma automation, Thermal Dynamics, www.thermal-dynamics.com. Cut surface. A quality cut produces a part that is ready for the next fabrication step. Characteristics include a smooth surface free of dross and nitride contamination. Top edge rounding is caused by the heat of the plasma arc at the top surface of the cut. Proper torch height control minimizes top edge rounding. Top spatter. Cutting too quickly or using a too high torch setting causes top spatter, which is easy to remove. Bottom dross. Easy-to-remove dross indicates cutting is too slow. Hard-to-remove dross indicates cutting is too fast. Kerf width. The kerf (or cut) width is related to tip orifice size, current setting, and torch height. Cut surface bevel angle. High-precision processes produce a bevel angle of 0 to 3 degrees, while conventional plasma produces larger bevel angles. Proper torch height control produces the smallest bevel angle (as well as kerf width and top edge rounding). Nitride contamination. When carbon steel is cut with air as the plasma gas, some of the nitrogen becomes absorbed into the cut surface, which then requires grinding before welding to eliminate porosity and the risk of nitrides at the grain boundary.